I’m pooped. Yesterday some major changes took place in the vegetable garden. Nick came over to help me renovate the old strawberry patch into something new and hopefully beautiful later this season and for many seasons to come. We tore out a little over a third of my large strawberry patch and built a new arbor in it that will show off some vines and flowers. The patch was getting old and I needed to thin it out and it was laid out crooked in the garden when I first built it. This always bugged me so since we would be thinning it out anyways, I straightened the bed out. Plus it had spread out beyond it borders and some borage plants were taking over parts of the strawberry bed and path around it where I had introduced them several years ago. Now borage is a great plant and attracts bees but what I didn’t know is it easily re-seeds itself taking over everything in its path becoming unmanageable. So I plan on planting more borage in areas where I don’t care if it re-seeds. 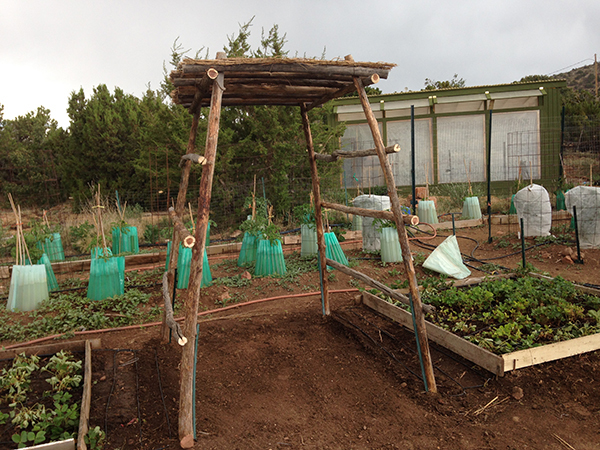 We made 2 strawberry beds book ending the arbor in the middle and re-did the drip system in each of the beds as well. I plan to plant hyacinth beans and scarlet runner beans up the sides and plant sunflowers and zinnias around each side as well. Hyacinth beans are really beautiful but poisonous to eat but this garden feature wasn’t built to eat but to beautify the garden and add interest. I can see it in my mind’s eye and will show you pictures as the vines grow up it! 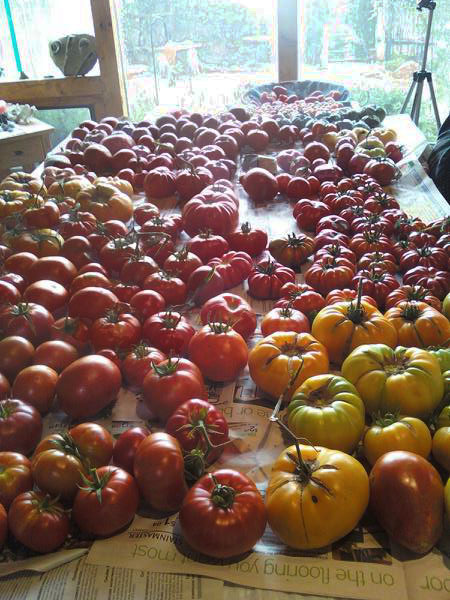 This entry was posted in GARDEN PROJECTS, general and tagged garden art, garden projects.